[ Le Sel; Mesquer, commune of Loire-Atlantique department of France. ] Anonymous MS. document on 'oeillets de marais' and salt preparation, comprising fifteen 'Questions faites par monsieur le Sous prefet au maire de mesquer', each with answer. [ Mesquer, Loire-Atlantique, France. ] Undated [ circa 1835 ]. 1p., landscape folio (30.5 x 39.5 cm). On watermarked laid paper. 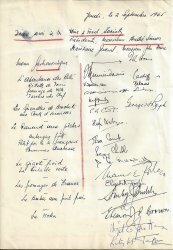 Divided into two columns: 'Questions faites par monsieur le Sous prefet au maire de mesquer' and 'Solution en Response a Monsieur Le Sous prefet Par Le Maire de Mesquer'. The first answer provides a definition of 'oeillet de marais', and is followed by facts regarding salt producers, their salaries, and other related matter. The reply to a question about the price of salt gives prices for the years 1833, 1834 and 1835. 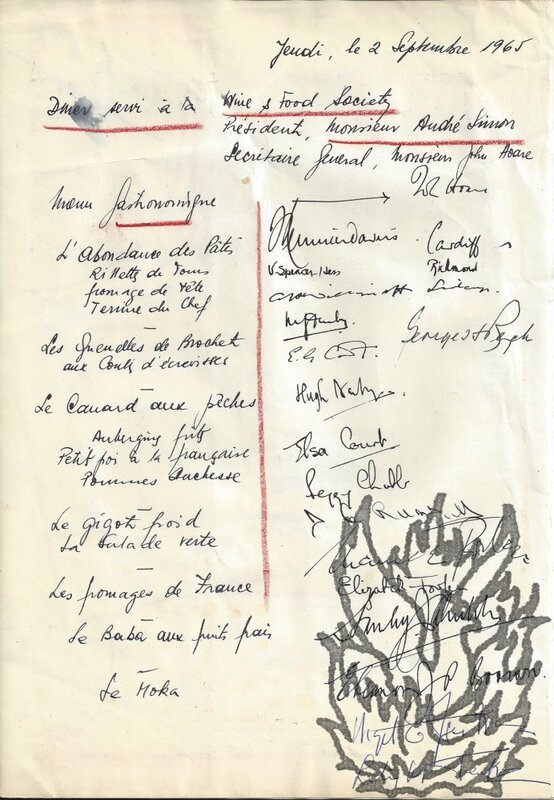 A collection including an autograph notebook, photographs, receipts, circulars, received by Mrs Amy Mary Irving Driberg (d.1939) [née Bell], of Uckfield Lodge, Crowborough, wife of J.J.S. Driberg, and mother of Labour politician Tom Driberg (Baron Bradwell) (1905-76), in connection with her efforts on behalf of allied prisoners of war. 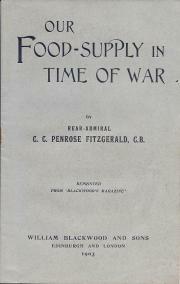 An interesting and informative collection, casting light on a generally-overlooked aspect of the Great War. In good overall condition, on lightly-aged paper.ONE. Notebook in the autograph of Mrs A. M.
[Printed pamphlet.] Coffee. History. Growth and Cultivation. Preparation. Effect on the System. Medical Opinions. Influence on Society. 12mo, 14 + [i] pp. Stitched. 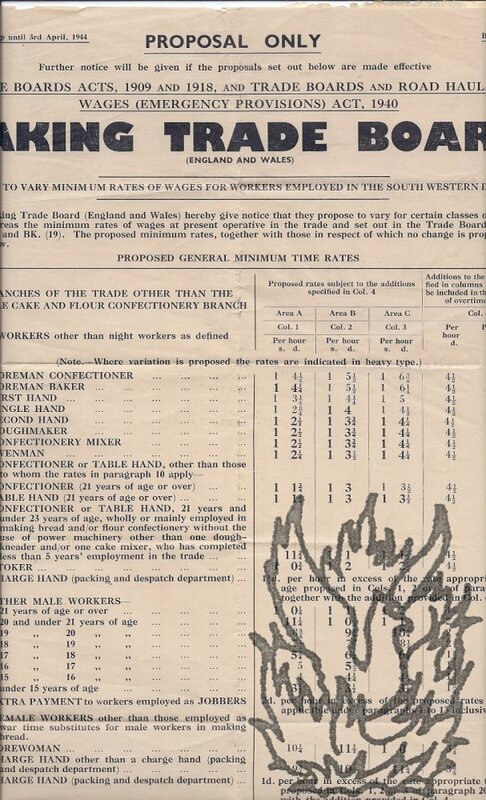 Fair, on aged paper with slight spotting to cover; and with a central vertical fold. In a preface dated 'Birmingham, 1894', the author indicates that the preface is intended for the general public, rather than 'the Botanist and Trader'. Sections on 'Early History', 'Roasting', 'The Growth and Cultivation', 'Preparing for Table', 'The effect of Coffee drinking' and 'Medical Opinions' ('On November 2nd 1894, Dr.
[Printed British parliamentary paper.] Commonwealth of Australia. Report (with appendices) of the Royal Commission (Mr. Justice Street) on the Meat Export Trade of Australia. 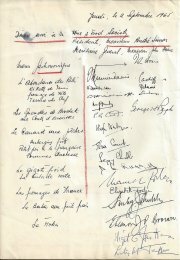 Presented to Parliament by Command of His Majesty, April, 1915. London: Printed under the Authority of His Majesty's Stationery Office, by Darling and Son, Limited, London. 1915. Folio, 50 pp. Stitched. In original blue printed wraps. Text clear and complete. On aged and lightly-stained paper. In worn and chipped wraps. Front wrap carrying the stamp and withdrawal stamp of the University of Hull. Scarce. Only one "electronic resource" recorded. 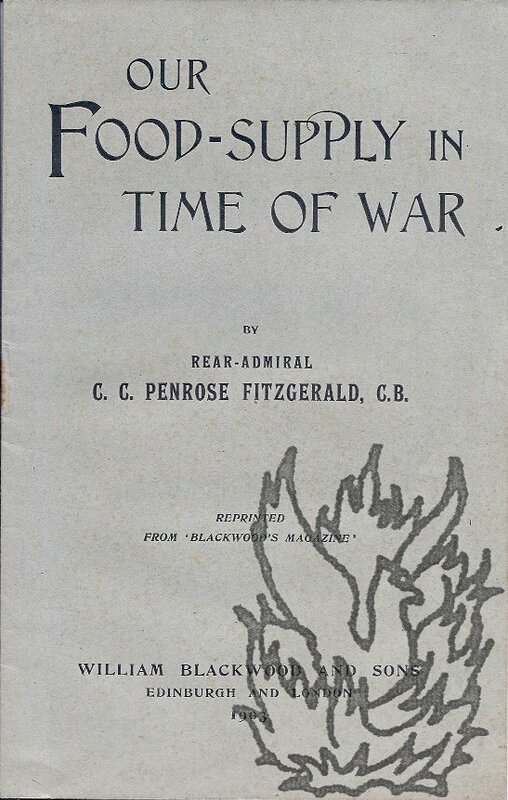 [Pamphlet; offprint] Our Food-Supply in Time of War. Reprinted from Blackwood's Magazine. 16pp., printed wraps, good condition. 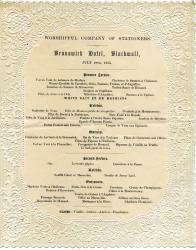 Menu for a dinner of the Worshipful Company of Stationers at Brusnwick Hotel, Blackwall. With ornate doily cut border. On one side of a piece of wove paper roughly 23.5 x 19 cm. 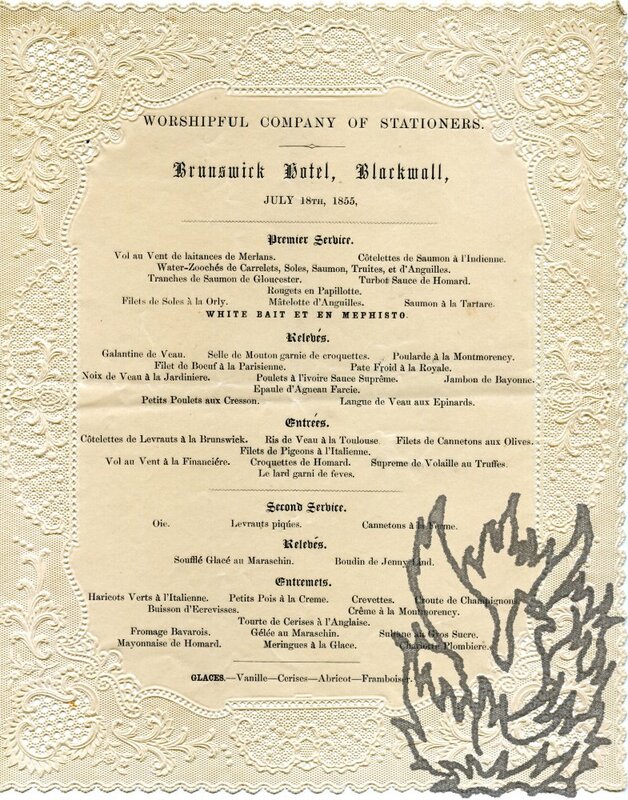 A delicate and scarce piece of ephemera, in a remarkably good state of repair. Possibly a proof, as a thin blank strip along one of the vertical edges, intended to be detached and discarded, still adheres. The menu itself is crisply printed in the centre, covering a space roughly 17 x 13.5 cm. The Importance of Accessory Factors in the Food. Pamphlet, 7pp., cr. 8vo. 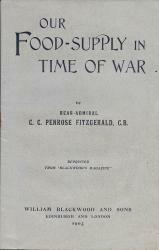 Sub-title: Some facts concerning nutrition for the guidance of those engaged in administration of food relief to Famine-stricken districts. 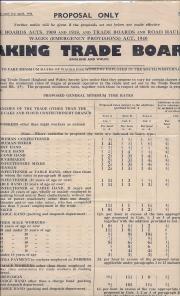 This pamphlet spreads word of the "new" knowledge about vitamins to a world in recovery from World War 1. One of the authors, Harriette Chick, helped spread the word to Vienna and Eastern Europe between 1919 and 1922. See #1988 for a collection of Harriette Chick publications.